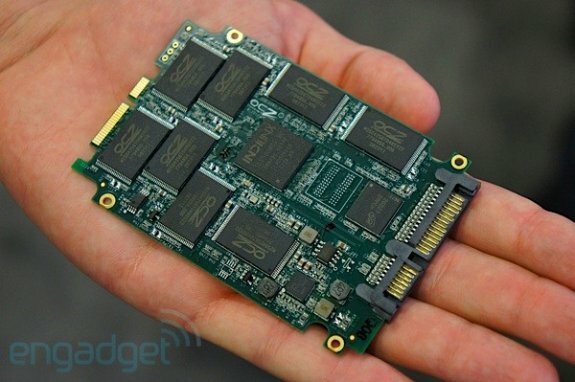 Over at the Intel Developer Forum in San Francisco, OCZ Technology showed off a prototype of Vector, a 2.5" SATA 6Gbps SSD with the new Barefoot 3 controller. The new Barefoot 3 SSD controller has been designed from ground up by OCZ's Indilinx division, contrary to the Barefoot 2 controller which was based on Marvell technology. Vector will replace OCZ's Vertex SSD series, it's anticipated to be released in Q4 2012 in 256GB and 512GB versions. Pricing and performance remains a mystery though.